Found one file extension association related to Digital Orchestrator Pro and 1 file format developed specifically for use with Digital Orchestrator Pro. Developer / company: Voyetra Turtle Beach, Inc.
Digital Orchestrator Pro is audio editor and midi sequencer developed by Turtle Beach for Microsoft Windows. The last version of Orchestrator was released in 1997. The Digital Orchestrator Pro software seems to be old or discontinued. 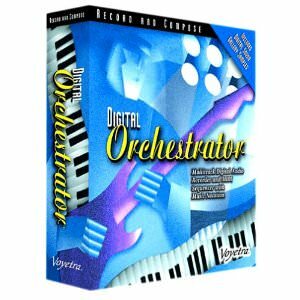 If you need more information please contact the developers of Digital Orchestrator Pro (Voyetra Turtle Beach, Inc.), or check out their product website.